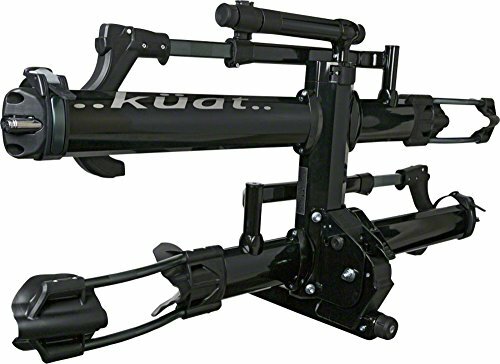 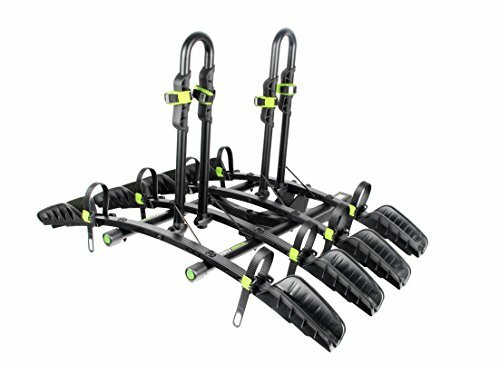 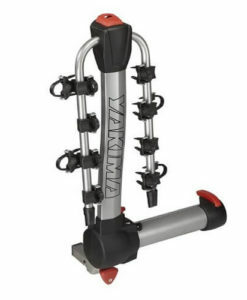 The Kuat NV is an easy to assemble, beautiful looking and solid bike rack. 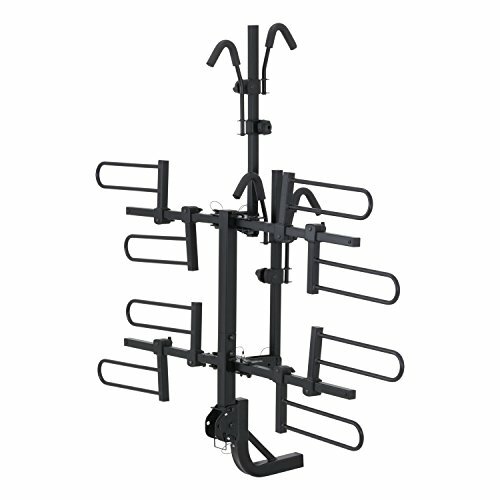 This is certainly a rack that will turn the heads of many because it looks that good. 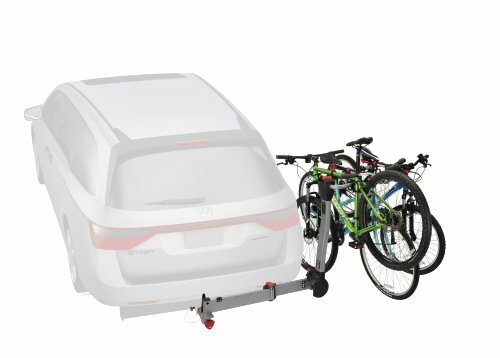 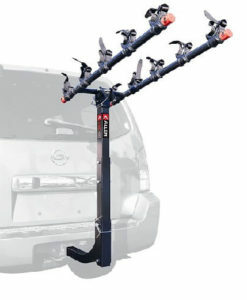 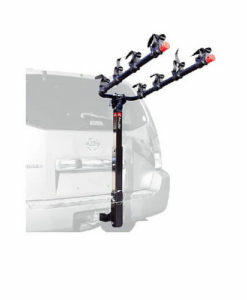 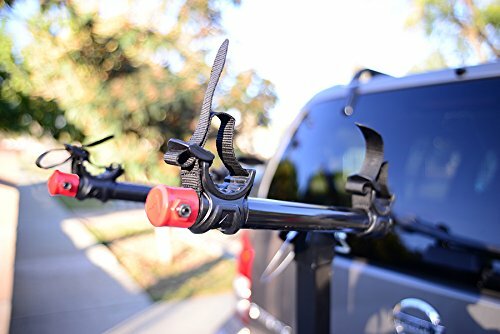 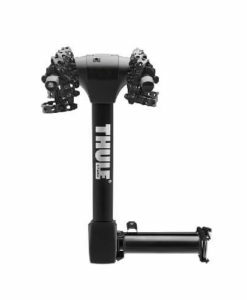 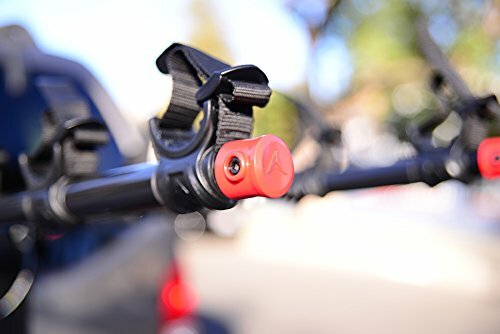 The NV hitch mount bike rack has a front and rear ratchet system, integrated cable lock, along with a built-in repair stand. 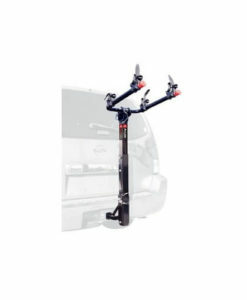 The hand tight cam system allows for easy loading, unloading, as well as hiding. 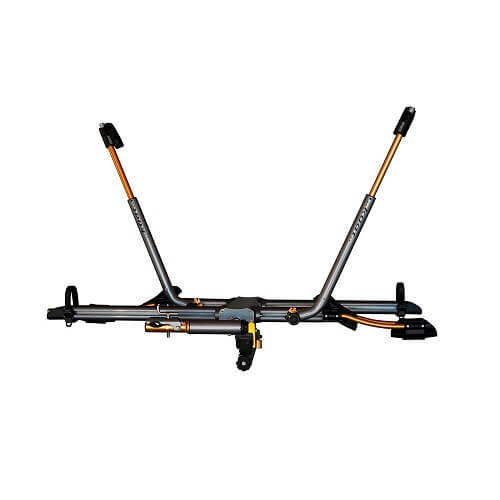 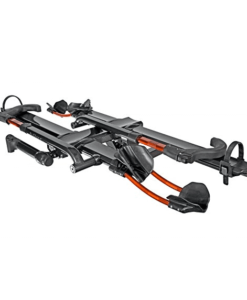 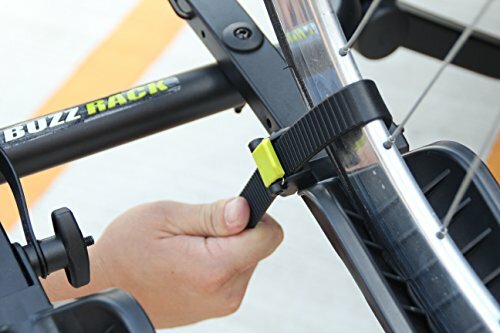 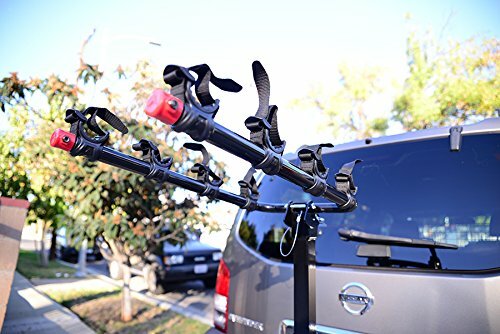 The hitch bike carrier is available for both 1.25″ and 2″ hitch receiver. 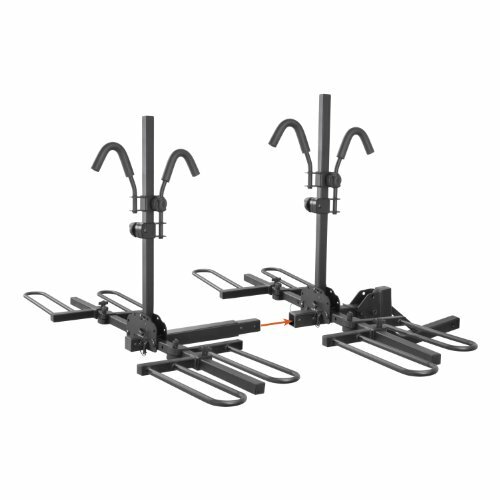 Simple storage with lever action pivot for rapid, folding, tilting, and hiding. 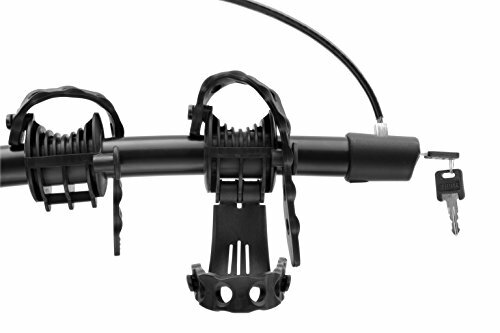 The NV’s anti-rattle mechanism is sturdier and comes in handy for those times when the road is bumpy.